A Rasmussen poll released on June 12 shows that only one out of five Americans want to live in a place where they can’t be armed. The other “10 percent” of respondents were not sure how they felt. These findings support the Pew Poll–released December 2014–which showed that “52 percent” of respondents believed “it [was] more important to protect the right of Americans to own guns” than to pass more controls on gun ownership. “46 percent” of respondents supported more controls. The PEW Poll represented the first time in over two decades that the majority of the American people turned on gun control to embrace gun rights. More importantly, it was a turn that began just months after Senator Joe Manchin (D-WV), President Obama, and Michael Bloomberg went on a gun grabbing expedition following the heinous attack on Sandy Hook. 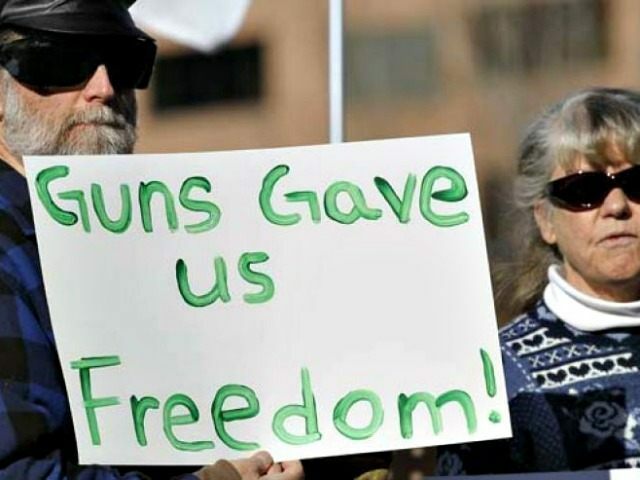 Numbers in support of gun rights grew from those early months after Sandy Hook until December 2014 and now, with the Rasmussen poll, it is clear that the number of those in support of gun rights has continued to grow.